When you think of an EV and the fact that you’re trying to get as much range as possible out of the machine, you don’t often think about using any of the power for the work that might need to be accomplished by a pickup truck. A gas guzzling machine of burden isn’t the same thing as a lightweight nimble car, but there’s really no reason that pickup trucks can’t be built as EV models going forward into the future. One company is already showing us how this can take place. While there is one company that’s turning Ford F-150 models into the electric models we may want to enjoy in the future, it’s not Ford. 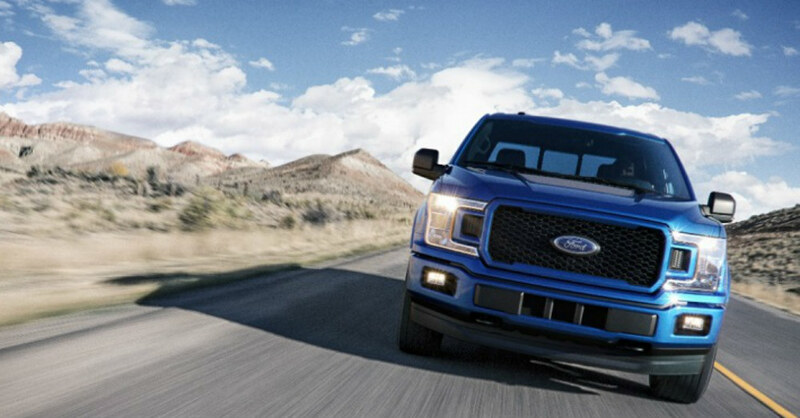 Instead, the Canadian company EcoTuned Automotive has designed and engineered electric powertrains for the 12th generation models of the Ford F-150. These are the pickup trucks that were built from 2009 until 2014, just before Ford began to offer the aluminum body structures for these trucks. With the need to see electric propulsion across all types of vehicles, this is certainly an interesting topic for us to discuss. EcoTuned Automotive has their business model formed around pulling out the factory gasoline engine and transmission with use of a cherry-picker and then plugging in the system they have built for the truck. Some of these new trucks were shown off at an event in Montreal and several were on site for the experience of those who wanted to try them out and see what it feels like to drive a truck with an electric engine under the hood. The results were somewhat surprising, to say the least, and the instant torque of an electric motor was certainly not lost on the crowd in attendance. The power offered by the electric engine system of the trucks built by EcoTuned were able to bring 210 horsepower and 300 lb.-ft. of torque for the drive. This is more torque than the base V6 engine can offer and is similar to the old V8 engine that was offered. The trucks themselves look similar to what we know and admire while being decked out in EcoTuned garb to make it appear to be a bit of a conglomeration of sorts that could eventually be used by Ford should they choose to produce electric F-150 models. Of course, the range is a factor and EcoTuned has informed us that these trucks are good for up to 100 miles when fully charged. While this won’t make the electric Ford F-150 a truck that can be instantly used to replace the trust we see today, it’s certainly a step in the right direction. The range does dwindle when towing, but it’s a start. Charging the EcoTuned Ford F-150 takes about seven hours, but if the truck is one that’s used as a family hauler for errands around town, the lower noise level, use of electricity, and unique qualities might make this a hit for EcoTuned.